The Afro-American Historical and Genealogical Society (AAHGS) will hold their Black History Month 2017 Genealogy Conference on February 4, 2017. Unless it snows, in which case the conference will be moved to February 18, 2017. The AAHGS was founded in 1977 in Washington, DC by a small group of historians and genealogists who felt a need to share resources and methodology for pursuing historical and genealogical research. AAHGS is affiliated with the National Genealogical Society and the Federation of Genealogical Societies. 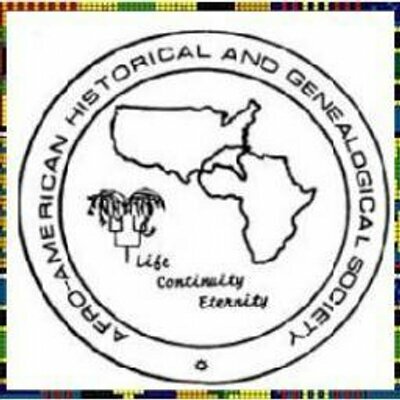 The Afro-American Historical and Genealogical Societies, Inc. State of Maryland and Washington DC Chapters and Family History Centers will hold a Black History Month 2017 Genealogical Conference in Laurel, Maryland. It is a free conference. Registration is required. The Conference is also hosted by an African American special interest group – the Washington DC Family History Center. It is connected to The Church of Jesus Christ of Latter-day Saints. The theme of this year’s conference is: “From the Archives to the Classroom with African American Genealogy”. It focuses on the crucial role of education in the history of African Americans. It is recommended that you bring your own lunch that does not require refrigeration. Bottled water will be provided. No caffeine will be allowed on the premises. The Keynote Speaker for the Conference is Marvin T. Jones He is a documentary photographer and filmmaker specializing in corporate photography and videography. In his work, he had documented Haitian defense works for UNESCO, the developing nation of Somaliland, and Black communities in South America. Marvin T. Jones is the founder and Executive Director of the Chowan Discovery Group who documents, researches, preserves , and presents history of his native Winton Triangle, a 275 year-old mixed race landowning community.